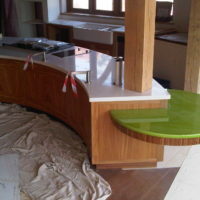 Another kitchen with design by Johnny Grey. 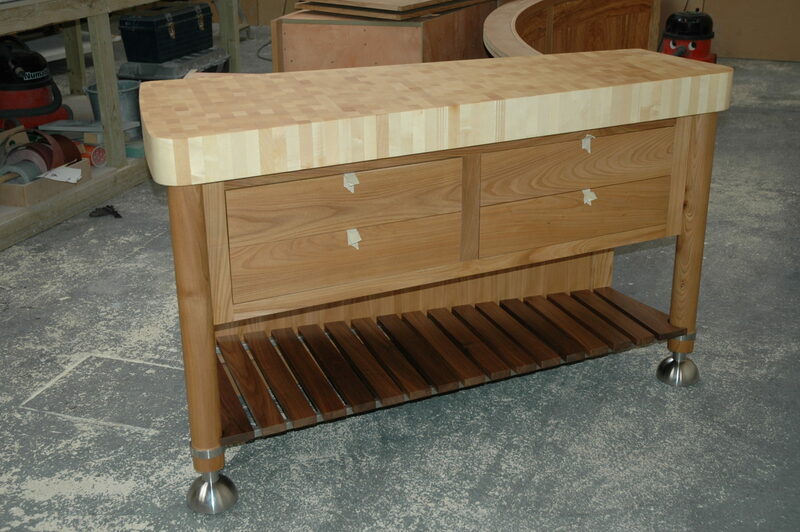 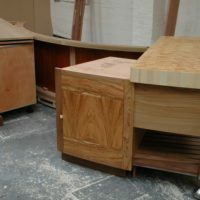 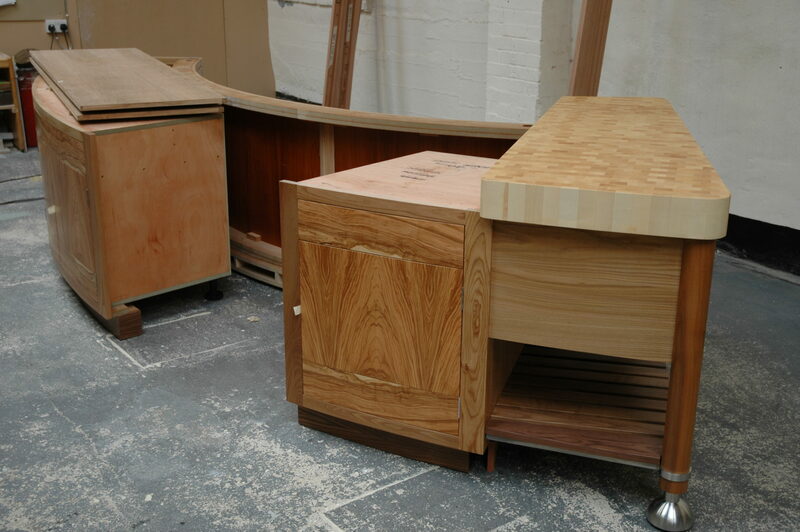 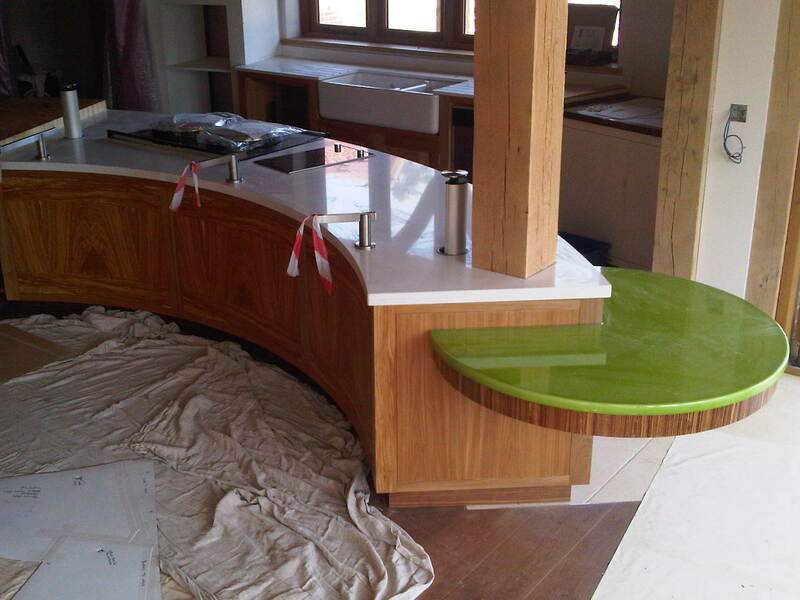 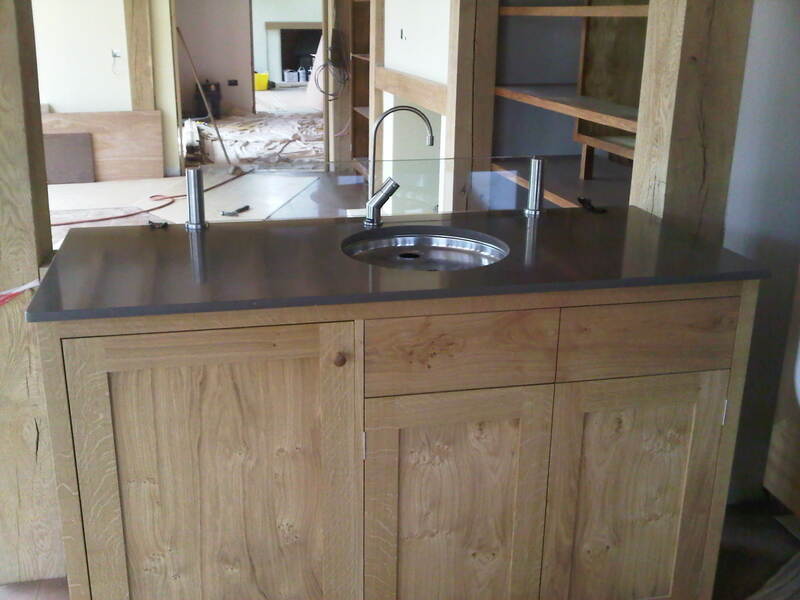 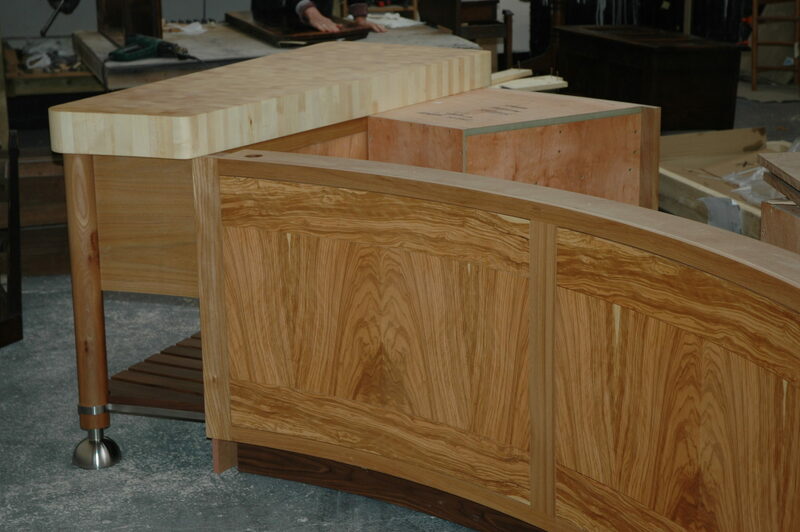 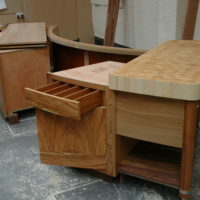 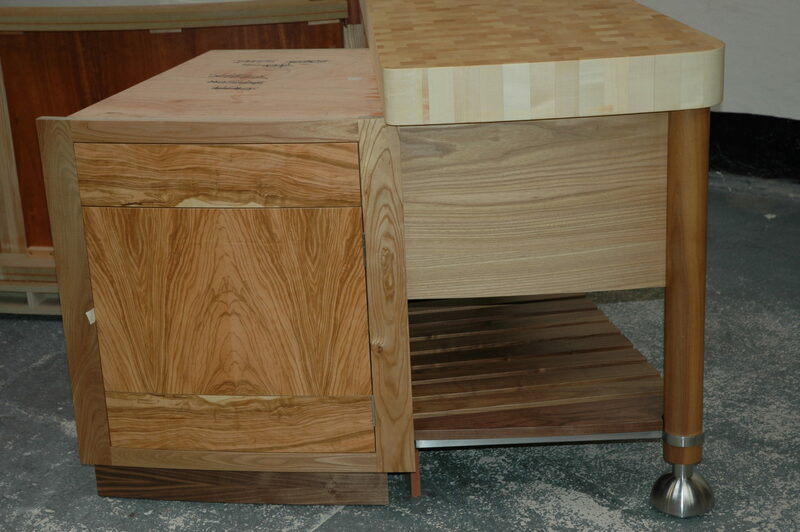 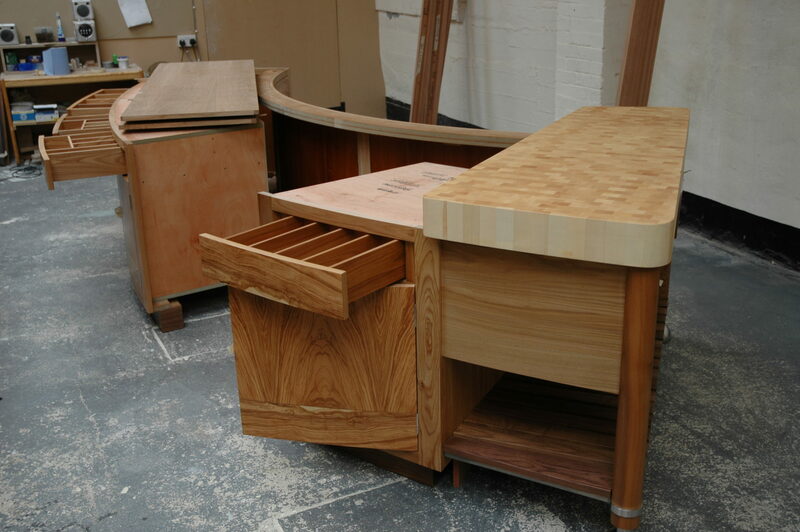 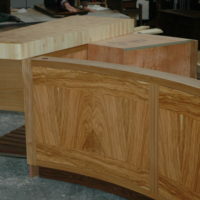 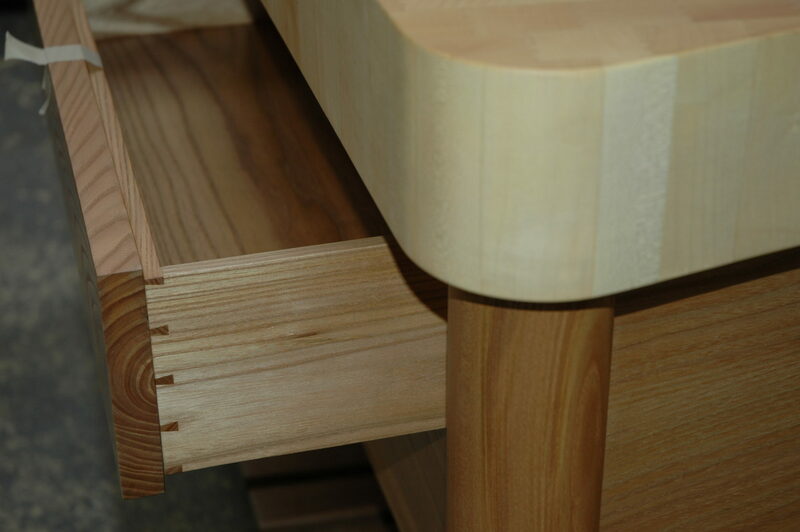 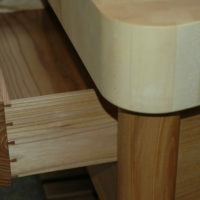 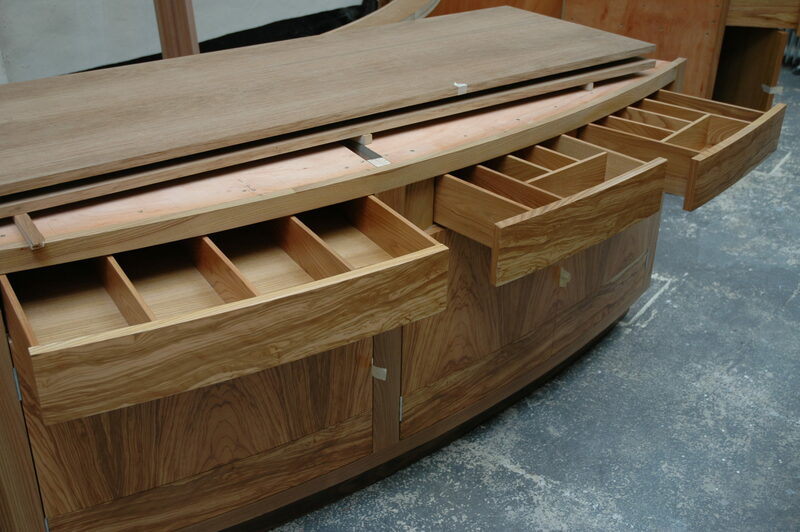 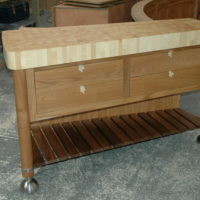 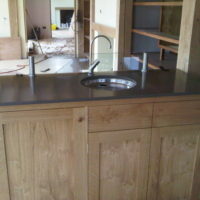 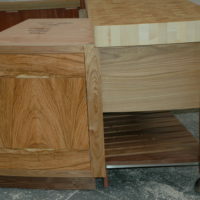 A curved central island in solid elm with matched olive veneers. 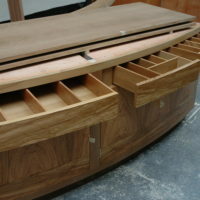 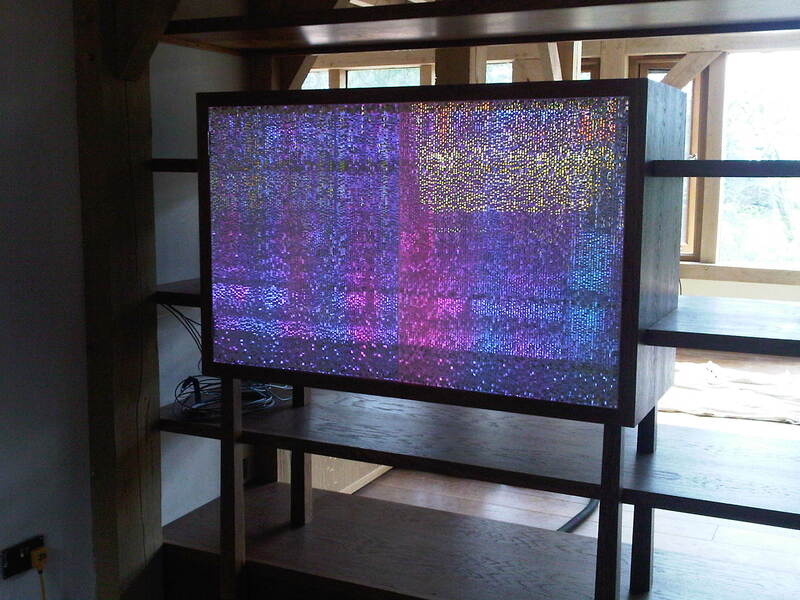 Cabinets and living room shelving in pippy oak with an interesting resin panel by Sensitile Systems.